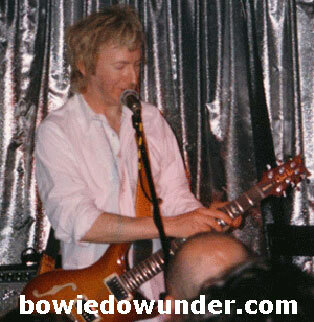 On Tuesday February 24 at Melbourne's Ding Dong Lounge, David Bowie's guitarist Gerry Leonard played a concert as his pseudonym 'Spooky Ghost' and Bowie's bassist (Gail Ann Dorsey), keyboardist (Mike Garson) and guitarist (Earl Slick) joined him for a two hour spectacular. Left: Gerry Leonard knocks one back at The Ding Dong. 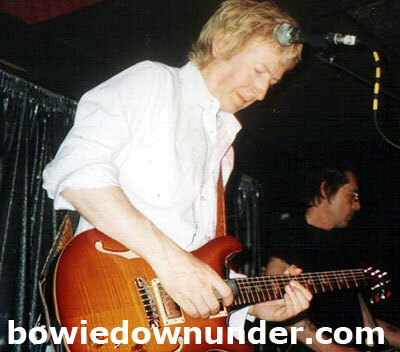 The opening act was a solo set by guitarist Ash Naylor who has played in several bands such as Even and currently, The Ronson Hangup. 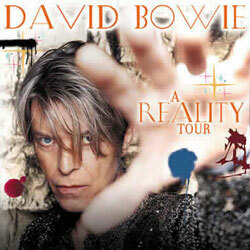 Unfortunately, Ash did not play his song 'Bowie in My Dreams' but the following night, he was indeed spotted down the front of the Bowie concert. 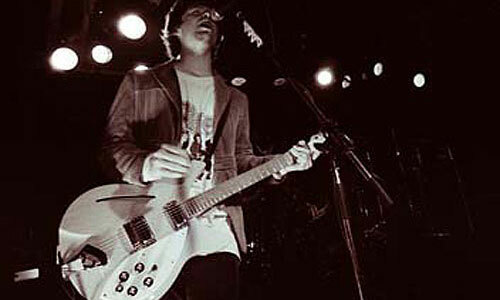 "As fate would have it, I ended up sitting in the next seat to him at the first Melbourne concert. Row 10.... 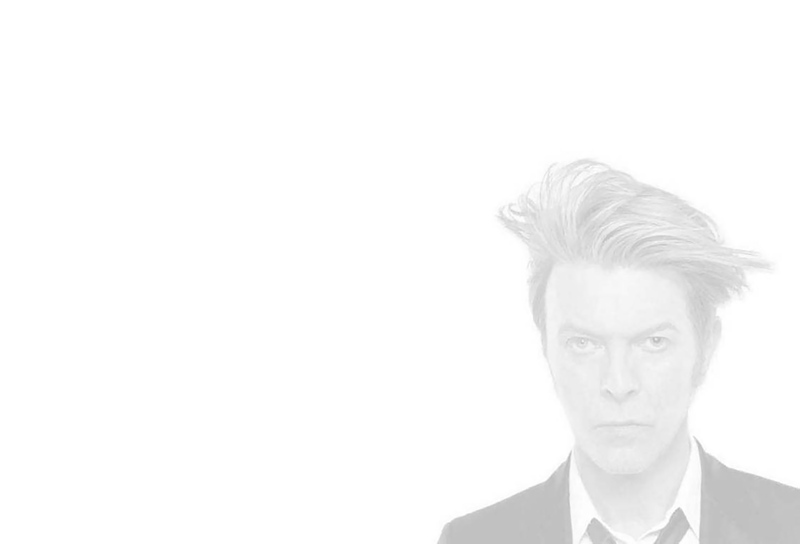 He was transfixed by Bowie". 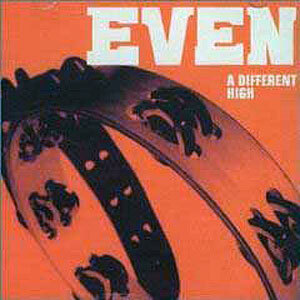 ~ Harry Williams, BDU member. 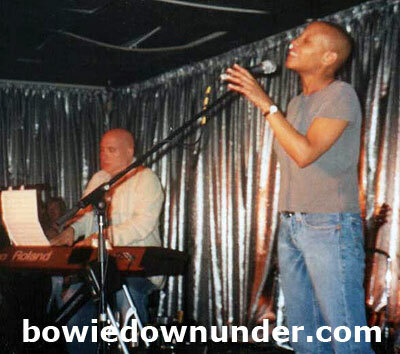 As in Sydney a few days earlier, Gail Ann Dorsey played a short acoustic set centred around her current album I Used To Be. 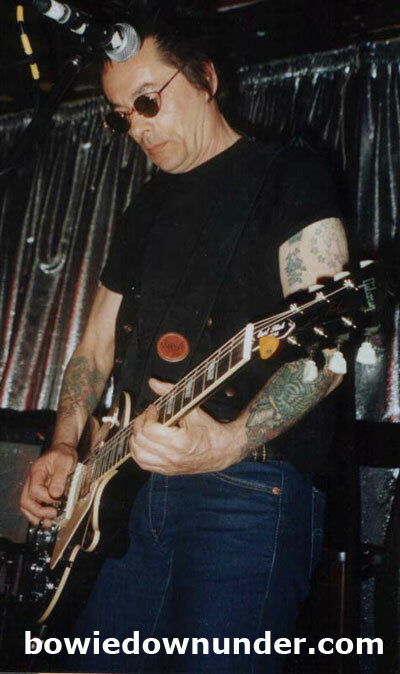 Following Gail was Gerry Leonard who played much of his new Spooky Ghost album The Light Machine. 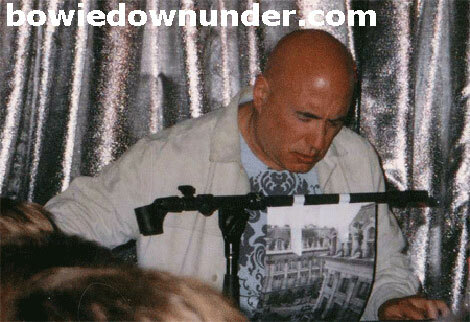 Mike Garson joined Gerry for an instrumental and Earl Slick also joined in for a couple of tracks. 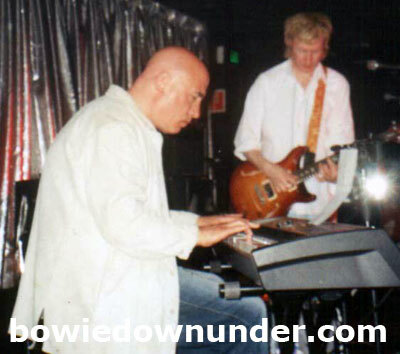 Above: Adam and Mike Garson. 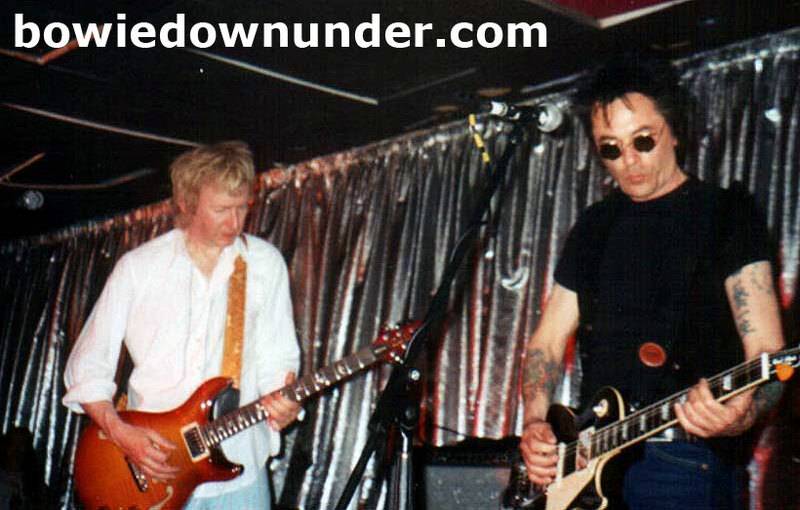 Above: Gerry Leonard and Earl Slick. 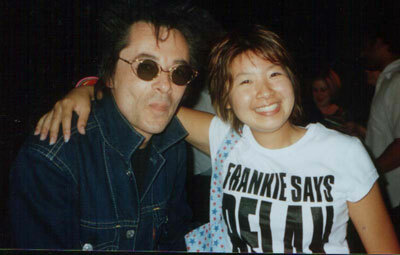 Above: Georgina and Earl Slick. Above: Georgina and Mike Garson. 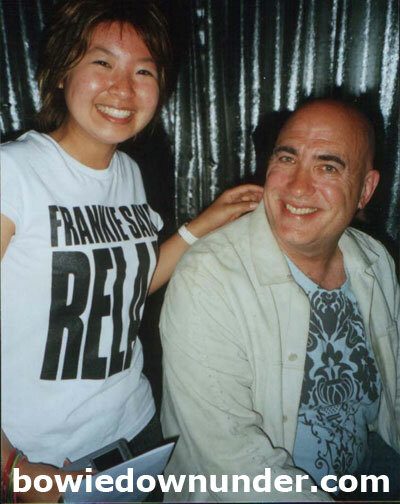 Above: Gail Ann Dorsey and Mike Garson. 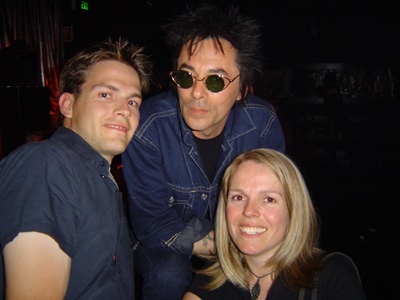 Above: Chris, Cass and Earl Slick. 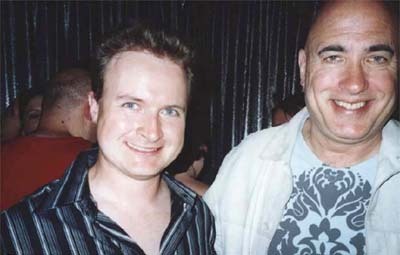 Above: Gerry Leonard and Mike Garson. 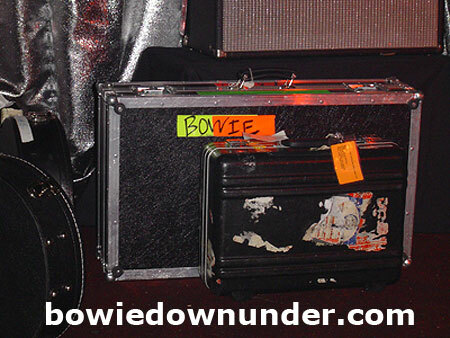 NEXT PAGE: A Bowie Downunder Walking Tour of Sydney!